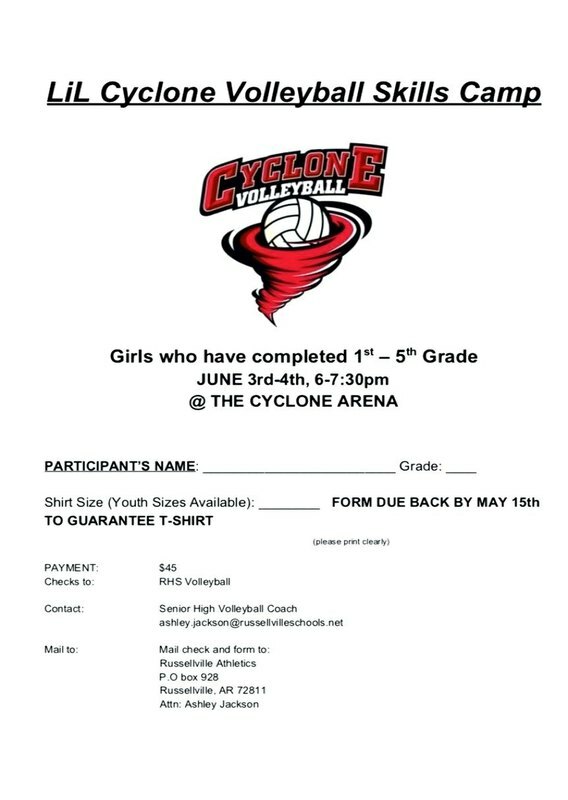 Summer Camp registration for the 'LiL Cyclone Volleyball Skills Camp' is now open! Girls who have completed 1st – 5th grade may register. The camp dates are June 3rd-4th, 6-7:30 p.m. at the Cyclone Arena. *Must register by May 15th to guarantee a t-shirt! at ashley.jackson@russellvilleschools.net for more information.